It’s More than a Bench; It’s a Picnic Table and Our Environment Too! What do math, science, history, design thinking, environmental awareness, philanthropy, and 5th graders have in common? Together they build stuff. And in this story, it’s more than stuff; it’s a bench, it’s a picnic table, and it’s our environment too! You learned about this “Bottle Caps to Benches” project in the fall when 5th grader Claire wrote her persuasive essay blog to raise awareness of the impact of plastic lids on our global environment and to solicit bottle caps for this project. Claire’s blog kicked off a campaign that grew into something big at The Lexington School. 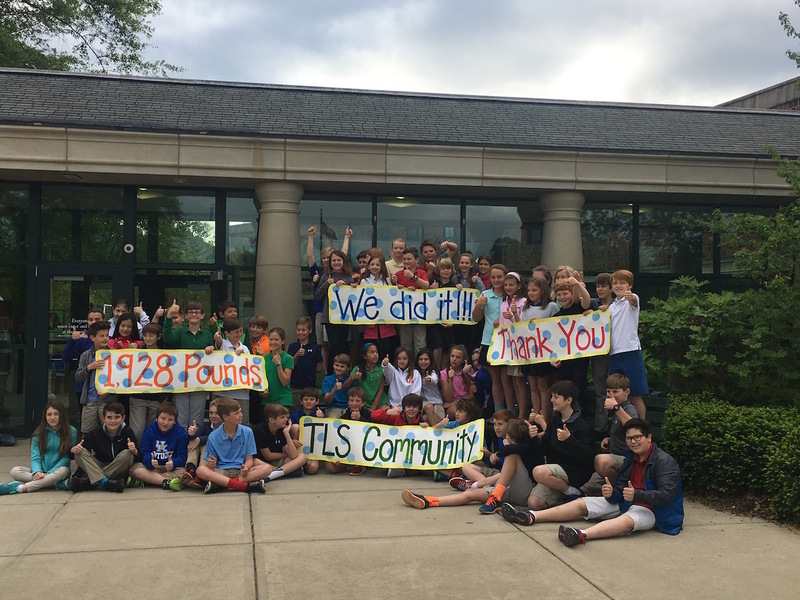 Over the course of this school year, in addition to their regular school-wide recycling responsibilities, fifth graders used design-thinking methods to determine a plan for promoting, collecting, and raising awareness of this philanthropy. 200 pounds of bottle caps was needed to recycle into a school bench for all to enjoy. Let’s just say 5th graders know how to crowdsource! 200 pounds? Not even close. They raised almost 2,000 pounds of bottle caps. A bench became a bench AND a picnic table too, both the result of smart, determined Lexington School students. Just this week it all came together; the bench and picnic table were delivered, and the entire 5th grade threw a party in celebration. No blog post can tell the story as well as the kids do. Watch the video at the top of this post to hear and see this amazing story for yourself in their own words.